4k00:15Two tractor ride on the road in field. Aerial footage. hd00:07Tana, Vanuatu. Jul 2017. Real time footage of the red pickup truck traveling over rough terrain. SUV overcomes difficult roads to deliver a cargo. 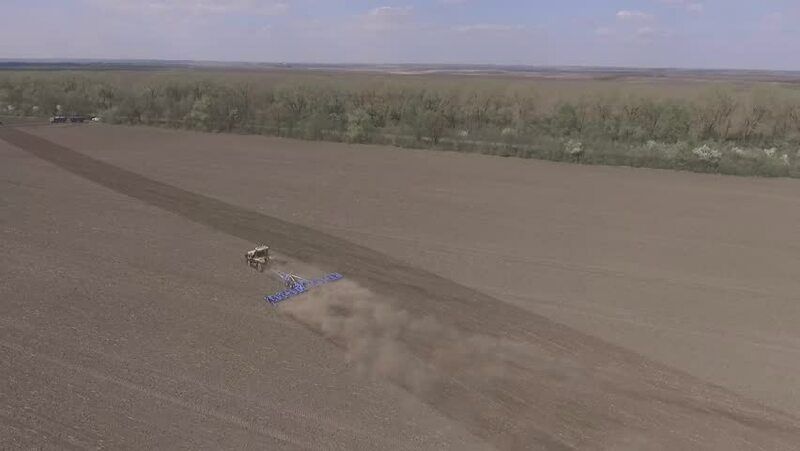 4k00:14Aerial view of Tractor makes fertilizers for agricultural land. Tractor pours the chemicals on farmland.